Root Canal Therapy is a treatment used to save a tooth that has an infected or dead pulp. Root Canal Therapy also prevents the infection from spreading. The pulp inside the tooth provides nutrients and a blood supply, and if the tissue is damaged or diseased, the pulp can die. Root Canal Therapy cleans out the diseased pulp. Once the pulp is removed, the canal is cleaned and sealed to protect it from further infection or damage. A crown may then be placed over the top of the tooth to provide added protection. These symptoms may also be a sign of other oral health issues. If you are concerned about pain or your oral health, call Westside Dentistry for an appointment on 07 3278 0580 and take advantage of our FREE 10 minute dental pre-assessment. If your tooth needs Root Canal Therapy, and the tooth is left untreated, you could develop an abscess on the root of the tooth, severe pain and bone deterioration under the affected tooth. If the infection is left to spread to the neighbouring soft tissues, you could develop a fever, swelling in the face and neck causing breathing difficulties, blood poisoning or even meningitis and heart problems. The dentist will make an opening at the top of the tooth, through to the pulp chamber. The dead, infected or injured pulp is removed and the root canal(s) are cleaned and medicated for a period of time. A temporary filling is placed at the opening at the top of the tooth to protect it before the next appointment. 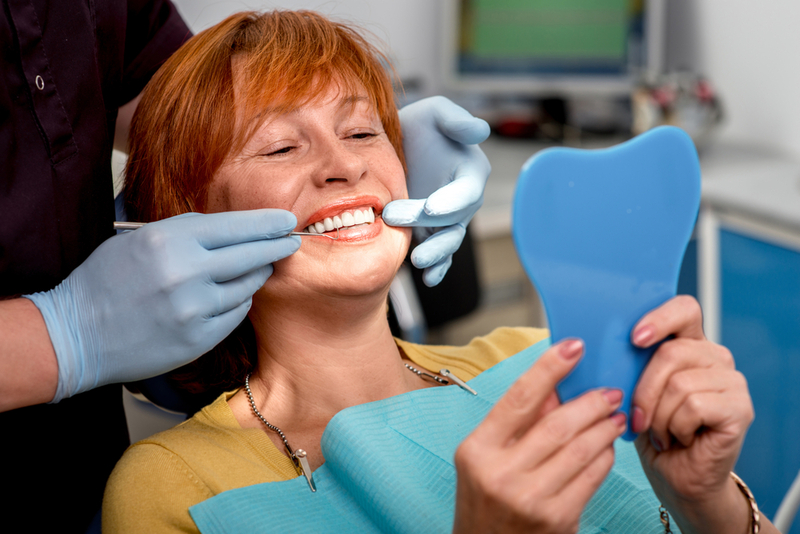 At the next appointment, often a couple of weeks later, the temporary filling is removed and the pulp chamber and root canal(s) are further cleaned and then filled. To prevent pain during the procedure, a local anaesthetic is used to numb up the area. Westside Dentistry uses a technology known as The Wand®®. There is no big, scary needle, and the injection is pain free! Please call us now to discuss further or make an appointment on 07 3278 0580 and take advantage of our FREE 10 minute dental pre-assessment.